PRESS RELEASE 25/4/2017: Designer Glen Baghurst showcases his Collaborations with craftspeople at the fine craft & creation biennale Revelations. The craftspeople participating in Glen Baghurst's showcase are master piano maker Felix Lenz and Master Bell Makers M&E Ohlssons Klockgjuteri. The work has been created over the past two years for exhibitions including the London Design Biennale, National Museum Stockholm and Vienna Design Week's Passionswege. "These collaborations are a unique way to work. The design process normally starts with a visit to the makers factory where I receive a background on their company history and their way of working. I then utilise their knowledge and take their techniques into account when I develop new work with them. The work that is derived from this process is normally not typical as it re -contextualises the old crafts in a contemporary way. Felix Lenz is a master piano maker. His showroom and workshop are in Vienna the home of many great musical composers. 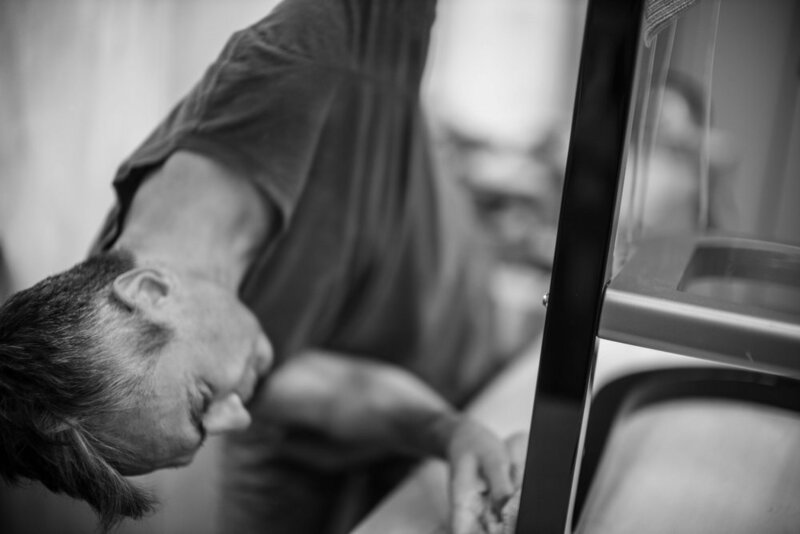 Felix builds and refurbishes grand pianos in his workshop and combines this with tuning and maintaining the pianos at the Vienna Concert house and Vienna Opera. Felix is a skilled craftsman and one of five master piano makers in Vienna. He works with a range of lacquers, wood, piano fixtures, felt, and metal wire. It is truly precision work to rebuild and maintain some of the best pianos in the world. The 'Grand' armchair was inspired by the Art Deco movement that had strong roots in Vienna around the turn of the century. The materials and fixtures of the grand piano were also a major inspiration when giving form to this object. The seat is held by custom made brass piano strings which are attached to the seat using typical piano fixings. Natural black hide was used to upholster the chair, creating a stark contrast to the shiny hard lacquer finish. The brass inlay was applied as decoration down the legs of the chair, an extension of a technique used to place the logo on pianos. M&E Ohlssons Klockgjuteri AB is a metal foundry in Ystad in the south of Sweden a main logistic port from Sweden to Europe. The town is well known for its productions of the TV series The Bridge and Wallander. M&E Ohlssons Klockgjuteri have been casting bells for churches and boats since the 1800’s. Situated inside a manufacturing area they have companies around them that specialise in 3D printing, precision metal machining, stone cutting. 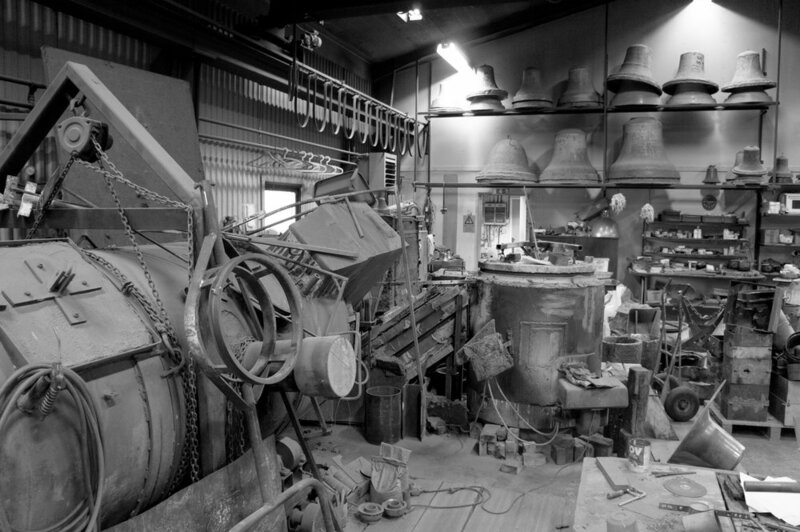 As well as the casting of metals, a large part of M&E Ohlssons Klockgjuteri business is to refurbish and rebuild bell towers. Prominent features of these towers are clocks. 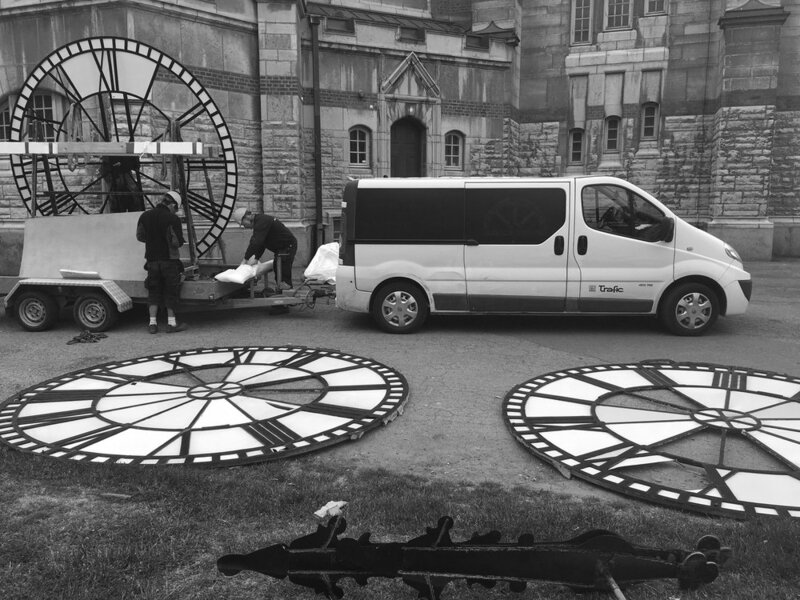 It's common for them to rebuild and design large faced clocks for these towers. 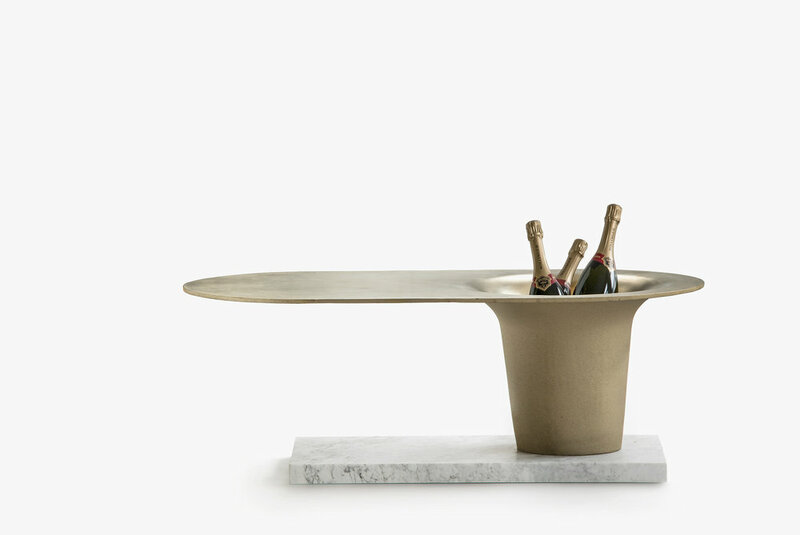 "'The Champagne Table' was made using the traditional technique of bell making. The table is made of solid brass and has an extended lip which is counterbalanced with the heavy marble base. M&E Ohlssons KlockgjuteriChanging faces of clock tower.